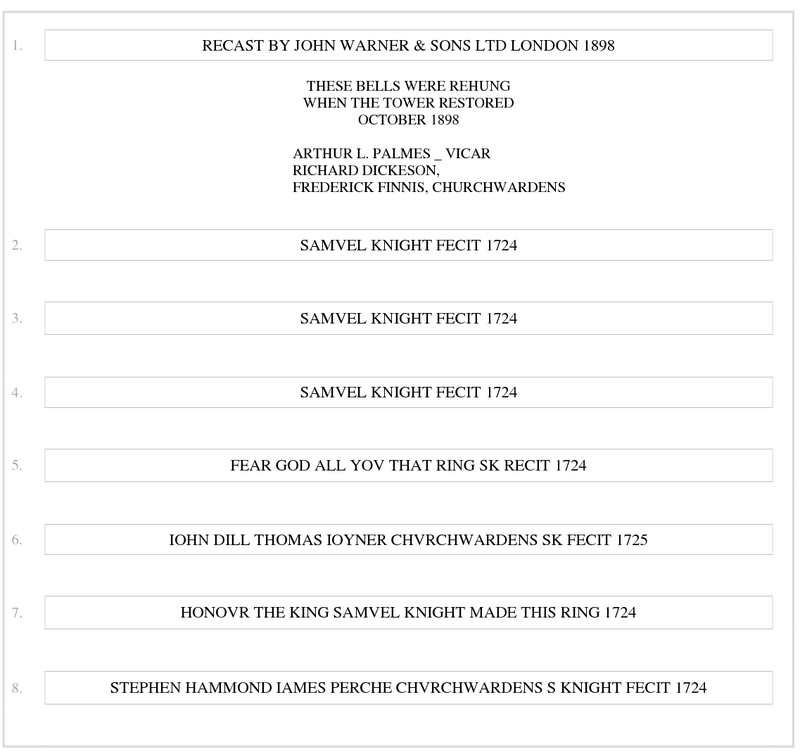 1724 Bells recast into a new octave by Samuel Knight. 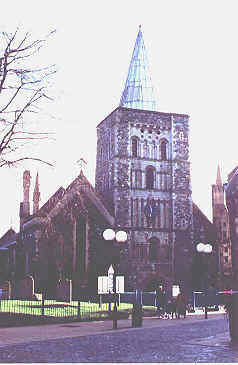 1898 Tower repaired, treble recast and bells rehung in a new composite frame by John Warner. 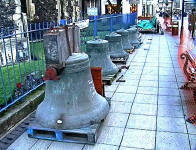 1947 Bells rehung by Mears & Stainbank. 2002 Bells retuned and rehung in a new frame by Whites of Appleton. 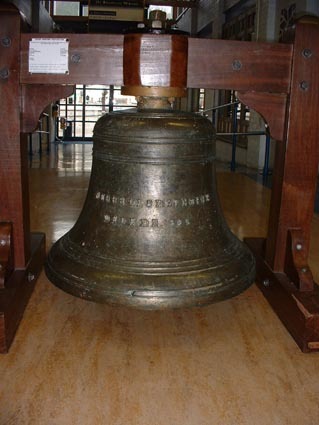 A new ringing gallery was created while the old esteemed ringing room was preserved. The old frame went to Walcot, Lincs. 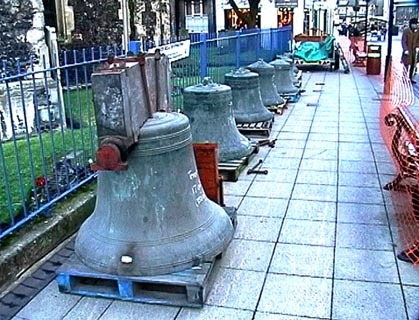 The bells, having been removed from the tower, on their way to Whitechapel to be retuned. 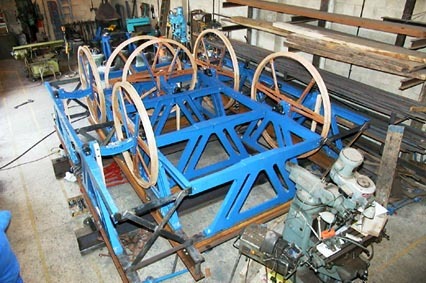 And here the new frame is put together at the workshop of Whites of Appleton.